Dr. Stylianos Atteshlis (1912- 1995) was a Christian esoteric healer and mystic. Not many people outside of the Cyprus, the Greek Orthodox and the Hellenistic world know about him these days. He was also known as Daskalos (meaning “teacher” in Greek). What intrigues me about Daskalos was that he represents a genuinely spiritually powerful person who kept to himself, lived a life of relative obscurity and worked as a civil servant to pay his bills and earthly life, offered his healings freely. 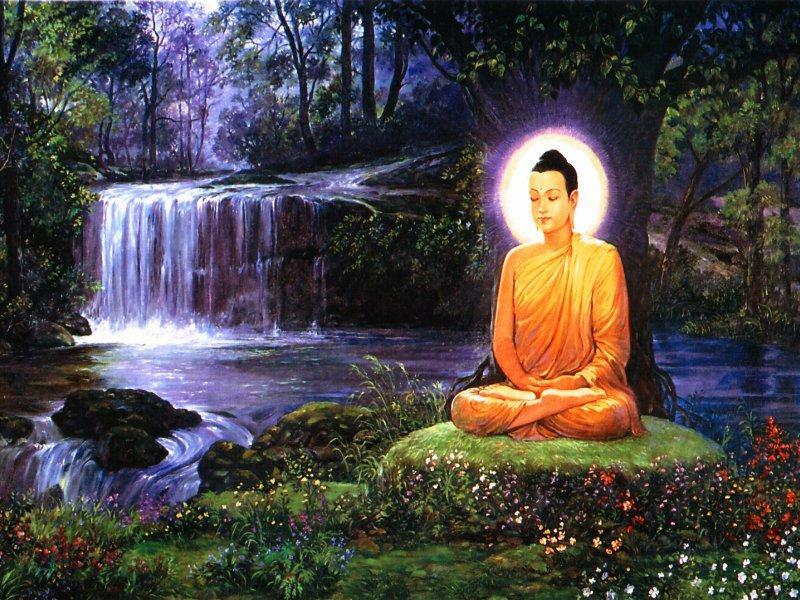 His spiritual life and faculties as a mystic was what made him famous particularly in Europe. We often hear about these stories of gurus in India or Taoist masters in China who are able to engage in incredible abilities, like visiting different dimensions, talking to spiritual entities, live on nothing but air (prana), heal people from vast distances and being able to perform death-defying physical abilities. What most people in the West fail to understand and see is that there are just as many powerful and spiritually advanced persons right here in the West also. We just don’t hear about them and I think that is a good thing. I’ve said it before and I will say it again; genuine spirituality and ability has nothing to do with money and fame. That is nothing more than a Western, capitalistic construct. Real spirituality is about service, that in healing, uplifting or helping others cross the river, it also comes back to us and that eventually has a ripple effect across the species. Enlightenment of one individual means zero unless that individual then decides to come back to help others along their way. To those who are still looking for genuine teachers and guides, not a plastic shaman or new age fraud, I will also add this; they exist. There is a network of genuine teachers and guides who have no other interest than to help humanity evolve to the next stage. You will not find them on the internet. You will not find them on FaceBook. You will not find them if you decide to go hang out in an Indian ashram or in Dharamsala with the Tibetans in exile there. That search is first and foremost an internal process. You need to have worked on yourself and your issues cleanly and diligently, and when the time comes, whether by fate, or personal merit, serendipity, whatever, you will cross paths. It can’t be bought, forced or orchestrated, it happens when it happens. 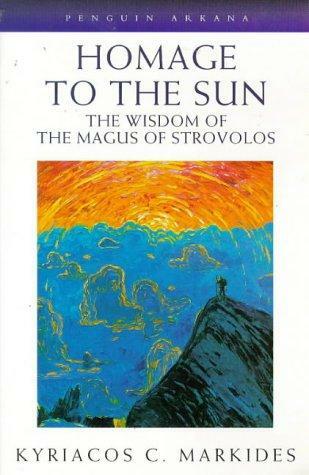 3 books about Daskalos were written by Kyriacos Markides, “The Magus of Strovolos”, “Homage to the Sun”, and “Fire in the Heart”. In these books, Stylianos Atteshlis was given the alias Spyros Sathi. Stories of his healings, his ability to bilocate (appear in two different places at once), his ability to connect telepathically to others and so much more were outlined in his books and made him well-known far from his native Cyprus. I have read all three books and while I know that later in life, Daskalos dissassociated himself from Markides, even still reading them, one can’t help but sense there is truth in Daskolos words and acheivements. 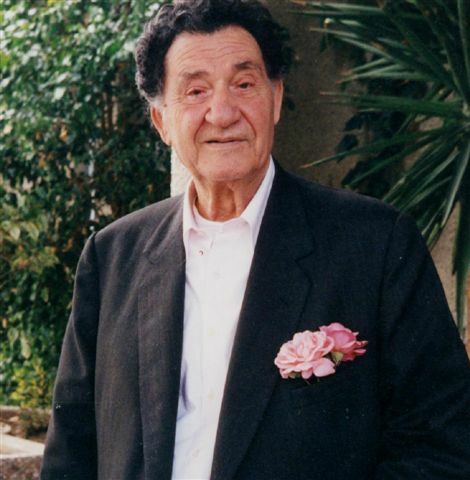 Daskalos passed on in 1995. I only came to know about him because my first spiritual teacher and guide in Cappadocia was a student of Daskalos’ formost student, Mr. Kostas. Daskalos’ teachings and his legacy are now in the hands of his daughter, Panayiota. His teachings are looked after by her and the organization she founded The Researchers of Truth. After Daskalos passed on, there was a split between Panayiota and some of Daskalos’ former students including Mr. Kostas. Panayiota, while not having the power and spiritual faculties of her father, legally could transmit the teachings through the Reasearchers of Truth. Mr. Kostas and some others in that group, who do have those abilities which Daskalos had, they founded a group called Erevna instead. I’m not going to discuss about the break too much but it’s here to highlight that there is a break and should anyone want to pursue these teachings further, to be aware of this. “It is not possible for anyone using words from any language, to adequately describe who and what Daskalos, Dr. Stylianos Atteshlis, really is. Nor is it possible for anyone to completely describe the teachings of the Researchers of Truth that poured through Daskalos like a mighty river. However, it is quite possible for anyone to love and respect Daskalos the mystic-healer whose potent works spanned seven decades. His was a life of healing and the teachings of the Researchers of Truth publicly began in 1919 on the island of Cyprus at the far eastern end of the Mediterranean Sea – just off the coast of Syria. 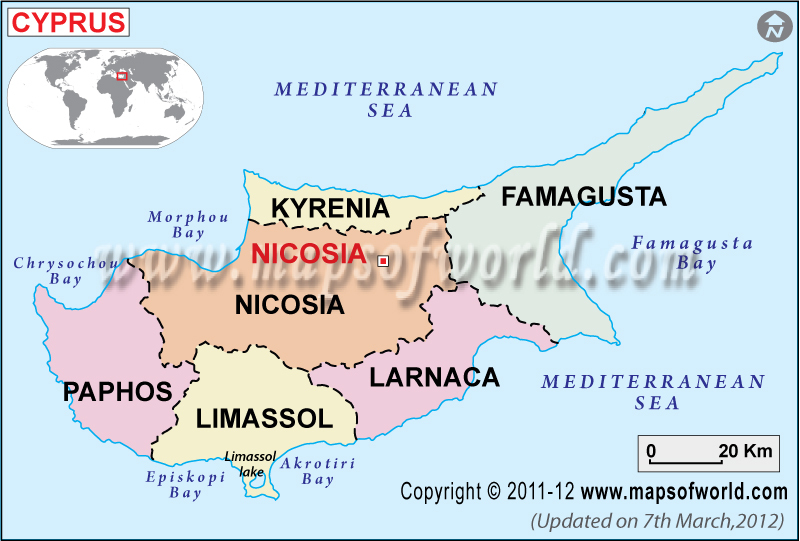 At this time, Cyprus was primarily populated by Greek-Christians and Turkish-Muslims. Cyprus had also just formally been annexed from the Turkish by the British after more than three centuries of Turkish Muslim control. But it would be 41 years more before Cyprus would gain its independence from the British. In 1919 the young Daskalos, was already able to Self-Consciously travel to the worlds of the higher dimensions. At seven, he could speak the languages of his past lives and consciously communicated with “great intelligences” that guided him from the worlds beyond. His parents knew this and believed in his abilities but warned him not to reveal these things to other people. From the beginning of this incarnation Daskalos knew who he was and the purpose of his life on Earth. What he did not know at the beginning was that all the people around him were not like him. He thought everyone could communicate with these higher intelligences whom he called brother guides; but he was about to find out just how different he really was. 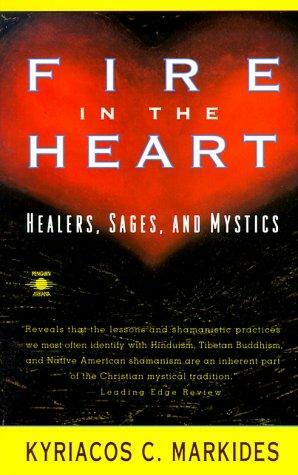 Over the course of the next seventy plus years, Daskalos established 100 independent circles of study worldwide and many, many thousands of students have come into these circles and personally experienced profound spiritual awakenings and undeniable healings. So-called “incurable” diseases, such as deadly cancers, were “miraculously” cured in the presences of Daskalos. Daskalos’ extraordinary healing skills also enabled the so-called “permanently” lame and disabled to walk freely again. Daskalos not only healed physical aliments, but those whose hearts carried deep and primal emotional wounds found relief under his loving care. And those who walked in mental darkness, negativity and confusion were lead out of the shadows and back into the light by Daskalos’ wise counsel. YouTube has a few videos of Daskalos, here’s one which the audio quality is bit better. This was one of my main influences during my studying phase. The books based on his teachings are certainly extremely deep, but make a lot of sense to me. I especially liked how he explained the law of karma. It was the first time it made real sense. If what was reported of his abilities to be true, then he certainly would be proof that psychic abilities do exist. I think there are some very pure souls who pop up as teachers from time to time, literally all over the world, not in any one specific tribe or people. It’s a shame that more people in the world don’t know about Daskalos because he certainly was one of them. Yes, indeed. There are a few out there like him, but they tend to keep low key. I wonder if the world would benefit from knowing about them, or would they just try to tear them down? Definitely. The genuine teachers and wisdom keepers keep a low profile. They’re not in it for money, fame, etc. but rather genuine service. They also have a tendancy to be “found” when the student is ready. It basically happens, when it happens and not something which can be forced, marketed or manipulated, not with the real ones anyway. On the other hand, the commercial ones, pretty much anything goes…..
Where is UK is the best place to go to find Genuin researchers of Truth. Where can one join to learn Daskalos teachings and are they free? Should we now follow Kosta or his Daskalos daughter’s group? Dr. Stylianos Atteshlis (Daskalos) once taught and healed with a blend of power, wisdom and love that was rare for this world. However, some of his former students chose to ignore the lessons Daskalos once taught them as they sought self-seeking opportunities for personal wealth using his teachings and practices. I read in the fourth book that Dr. Stylianos Atteshlis has disowned everyone and I always wondered what was behind it. If he flipped out or just got fed up with it all. Hopefully, no one will take offense in what my experience tells me. I have investigated both teachers: Dr. Attershlis and Mr. Christofides (Kostas). If one wants power and abilities your better bet is Dr. Atteshlis. If you want to improve your level of awareness, speeding up your evolution towards expressing Christ Consciousness, then the Erevna Foundation offers more. There is also an inaccuracy in the books: Mr Christofides always had his own groups, starting from 1972 and to the present. One was free to go to both teachers, but they offer something different. There are even nuanced differences in the exercises and “theory” (both teachers said it was based on experience rather than intellect). Even students would mix things up in the lessons, and include things that seem to come from one teacher instead of the other. Yet, I see consistent differences emerge after some years of study. I am looking for spiritual healers somehow connected to Daskalos in Turkey. Who is the teacher you mentioned from Cappadocia? Unfortunately she passed on in August 2011 and she was someone who did not want any attention brought to her but rather wanted to stay private. If you’re looking for teachers, they usually show up when they are meant to in your life. But if you can’t wait, you’re better off contacting The Researchers of Truth or Erevna and asking them if they know of someone within their network they can refer you to. Good luck. Could you please suggest someone, to learn from in Europe/Hungary maybe? I’m studying natural therapeutism, reading Dascalos books, and looking for proceeding ahead, would like to study from trustable source. Thanks a lot, I try to get in touch with any, someone might be also closer to Hungary, too. Thank you for quick and helpful reply! I have just finished reading the first book. 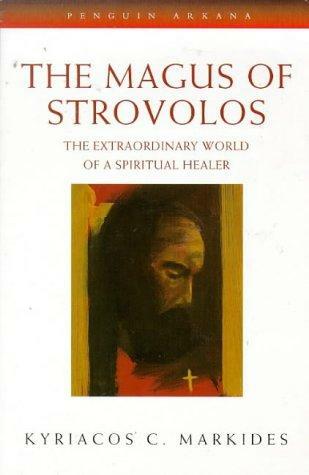 As a none religious person but deeply spiritual, I must say I was totally absorbed by the book and in agreement with so much of what the Magus shared. We may have different names for God and the non reference to the inclusion of the feminine stood out but other than that it was a brilliant read and a great teaching. I am wondering if Daskalos has made himself available to be contacted and learnt from in other dimensions? I recall him saying concentration was hugely important. By the nature of his heart I am sure he would be if one concentrated enough. Sad that he disconnected from the writer, curious as they clearly had a powerful bond, but maybe their karma was over and he just let go of all before he left his body. Who knows. A great teaching none the less and wonderful that it got into print. I know shortly before the Master Omraam Mikhael Aivanhov crossed over, he specifically told his followers that he would remain on the astral plane and continue instructing from there so I wouldn’t be surprised if Daskalos is also doing the same. A true spiritual teacher only wants to help as many people as possible cross the river. Personally, I think Daskalos probably hit a critical mass, where he had had enough of people asking and taking and getting him to fix everything. Even a great man like him would have his limits. From my own experiences, it constantly amazes me how people treat you as a commodity rather than a person and they are rarely grateful. I am not a very advanced soul and I find meditation difficult – but I am trying. I have read and continue to reread the Markides’s trilogy which is very tangible and very inspirational. When I lived in Cyprus in 1989-1990 I used to attend monthy talks given by ‘Kostas’. According to the account in Markides’s version Father Johannan actually named ‘Kostas’ to be the successor of Daskalos – this happened at a meeting of the inner circle and all were taken by surprise. It is hard for those of us who have read and loved the books to embrace the Paneyiota group as she is never mentioned in the books and does not appear to have any connection to the spiritusl circles during the lifetime of Daskalos. Where is Marios? I live in Ireland and I was hoping that there is even an online group to join .? I don’t know where Marios is but I’m guessing if you can somehow get back in touch with Kostas or Yannoula and Erevna, they will probably be able to answer some of your questions. As far as I know, they don’t have online resources , only the Researchers of Truth do. this has been a big help. I have been ‘moved’ to reread Markides’ books recently, which I have had for twenty years. Watched a fairly recent youtube of him and his connection to Greek Orthodox. I was surprised to read of the split, and the one comment I could find concerning ‘Fire in the Heart’, from ‘Daskalos’ himself referring to Markides’ work as ‘highly imaginative’ (at least in reference to Fire in the Heart). I was, to say the least, a little taken aback. I suppose it’s inevitable, that politics become involved in everything human, but couldn’t figure out if the Master himself was saying that Markides’ work was all on the ‘up and up’, or if he had other reasons for making the one short comment. Of all the spiritual things I’ve read, nothing quite compares to this, except astrology, which I do know a considerable amount about……I went to the facebook page of Daniel Joseph…Researcher of the Truth, and since it is in Indiana where I have lived most of this life, I was thinking of making some contact. Then, when I was checking out his book….Swimming with the Whales…I ran across the comment, I mentioned above, and became conflicted….I’ve worked in the forensic state mental system here for twenty five years, before I retired, so am all too familiar with bureaucracies, and human politics….Thanks for somewhat clearing up some of my misgivings. My own opinions on Daniel Joseph is that he is a sincere and wonderful man that works very hard in trying to spread the teachings as best he can. He always answers my questions via email with sincerity and real love. If you desire to contact him i don’t think you will be disappointed. Hello, I would like to learn Daskalos healing method, yet his teachings too, but there is always so much out there, that a person does not know where to start. Can someone with experience guide me? Please. I just need suggestions, the three first downloads or books you would recommend. Thank you so much. Hi Nel, I would suggest reading all of Markides book as well as “Swimming With The Whale: Teaching and Practices of Daskalos & The Researchers of Truth” by Daniel Joseph. You can find them all on Amazon. Daniel Joseph’s book in particular gives real and concrete methods while Markides books were much more descriptive of Daskalos and his abilities. Hope that helps. Thanks so much. Yes, I think it helps. I’ll start with Swimiming with the Whales as I can get kindle version (I live in the middle of nowhere, postage takes months to arrive ☺️) and the Teaching & Prac. of Daskalos on R.of Truth. If you know of anywhere I can get the other books digitally, i’d really appreciate it. Thanks again. Hello EER – I’m sure you’re aware that RT circles are alive and well, especially in Europe, Japan and Australia. Panayiota – Daskalos’ daughter – continues to carry the message and teachings forward and has been doing so for many years. She offers many regular seminars and workshops in Cyprus and throughout Europe – ranging from healing workshops, the “five keys” most here might be familiar with, as well as covering deeper, largely unrevealed topical coverage and practices, e.g. specific centers in the Symbol of Life, their connecting paths, deeper research of the various forms and “geometries” mentioned in Markides’ first three books, the Christ Logos, “AIB”, along with even deeper meditative, concentration, visualization practices and work with the “ethers”. Some exercises are quite intense and not suited for everyone, but nonetheless rewarding. Insomuch as the lectures and lessons, she’ll tell you herself they’re straight from her father’s teachings and that she added nothing to them over the years. Many are verbatim lessons from inner and inmost circle teachings, drawn from unreleased recordings and material she captured during his lifetime. As for the varied speculation about the parting of ways between Daskalos and his protege, this was a personal matter and is of no consequence to a seeker of truth 20 years later. The teachings remain largely the same. What I do know is that when I reached out to Erevna, the woman mentioned above (“Y”), was a bit off-putting, bordering on mildly arrogant. To me, that was red flag #1 and I didn’t sense much love in her messaging. I’ve spoken to others who receive their material on a regular basis, and after the first 2 years of subscriptions, I’ve heard the dive a little deeper, but at the end of the day, Daskalos teachings – especially videos and introspection exercises available on the RT site are enough to cover several lifetimes for those who endeavor to explore the truth. I’m sure Erevna’s are similar and, where they differ, the seeker will need to evaluate what “resonates” for themselves. With enough serious practice, and an earnest desire to purify our present-day personality, we become spiritual “self-starters” …enabling us to validate truth on its own merits regardless of the teacher. Thank you so much for your thoughtful comment, clarification and explanation. I agree with you completely in everything you wrote, I’d only add that the circles, RoT resources and Panayiota’s seminars and such are harder to come by on this side of the pond :-). I wrote this blog post in the hopes that people in the West and specifically the New Age community here were more aware of Western wisdom keepers and teachers like Daskalos and his work since there is (I find) an unhealthy obsession here among some Westerners in looking to the exotic and remote and taking on spiritual practices which very often, are incompatible on a psychic level and spiritual level to these seekers who simply don’t know any better. That quite often, Western teachers like Daskalos, Omraam Mikhael Aivanhov, Martinus Thomsen of Denmark, Torkom Saraydarian and their methods may actually be more beneficial to them in the long term and their spiritual development. 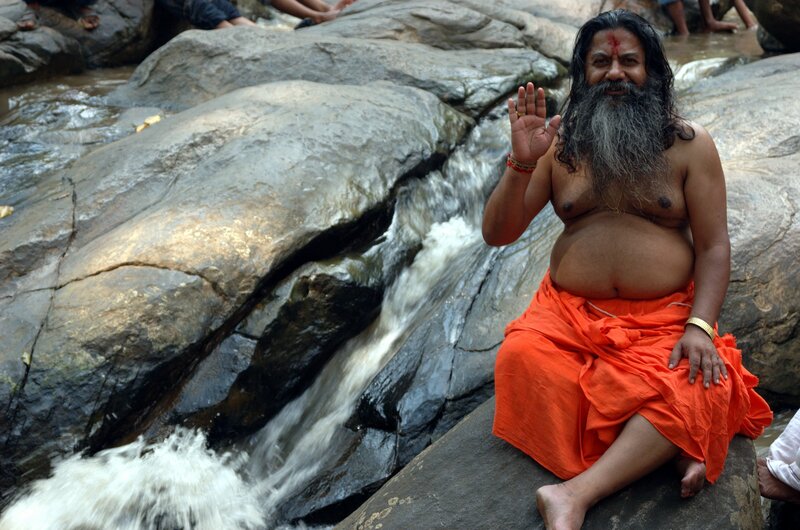 EER – yes, you raise an excellent point about those in search of “gurus” and methods from the East. In fact, Daskalos used to receive quite a few Westerners who sought healing after damaging their nervous systems with aggressive yoga breathing techniques and trying to prematurely “raise their Kundalini”. In one lecture, he specifically points out “There’s a reason some are incarnated in the East and some in the West” and, in several lectures and Q&A sessions, remarks to the effect: “If any guru requires or ‘demands’ that you follow them, run!”. Re. Torkom Saraydarian – very much enjoy his works, as well…it’s been awhile since I’ve heard anyone mentioned him. Another excellent source – White Eagle, esp. the Spiritual Unfoldment series. I’m sure you’ll recognize the symbolic similarities to Daskalos (I’ve heard some even suggest the author was actually channeling him). I’m curious about such activities. Are you able to point me to any links on those subjects? I’d like to get a bead on the energies of what is going on. The best way to get information on activity and/or Panayiota’s seminars would be to contact Daniel via the RT website. There used to be a healthy study group/circle/prayer group that met in NYC weekly for over 20 years and, as I understand it, there were even healings, but it was dissolved several years ago as one of the leaders passed over (90+ years old) and the other moved out of NYC. I’ve heard there is another in NJ. Daniel should be able to provide information on activity in your area. Thanks for your post and the ones who commented! What i don’t understand is why the cds/dvds are so expensive at the website? there are people like me who would love to learn about daskalos teachings but they can’t afford so much money. I assume and from what I have read on the internet, daskalos did his teachings, healings etc for free and he didn’t want any fame or money. So how come they charge so much for a cd? Even at erevna teachings, you have to pay yearly a subscription fee which is a substantial amount for someone who can’t afford it. When money is involved in such matters it makes me skeptical about it because such wisdom should not be related to money and it’s opposed to the philosophy behind it i.e help others and such. I would appreciate your reply, thanks. You would need to ask them directly why their fees are such. I can’t speak for them and can’t provide you with an answer. If I were you, I would first start reading the books and try doing the exercises in them first and then maybe try connecting with a Researchers of Truth circle group and see where it goes and where it takes you. Good luck. I have spoken to Panayiota directly through email she is extremely helpful and kind. My understanding is that Daskalos gave her authority of his life’s work and that is his daughter so I must respect that. I have had the same questions and concerns based off of the fact that Daskalos gave freely. I never had the heart to ask Panayiota directly about these concerns, but I do wonder why the content is high priced. Most of the things I have purchased from the site have been worth it but I am fortunate to be able to afford what I have . The trouble with giving freely is that people do not appreciate its value. They also rarely ever bother to give thanks or feedback and tend to even become demanding and abusive, feeling a sense of entitlement. I gave free healing for 30 years. Now I’m at the point where the well is empty and if people are serious, they can pay some nominal fee. That was not Daskalos opinion on the subject even though he may have felt underappreciated at times. I believe that charging for Therapy is definitely okay. I really just want access to Daskalos Videos and speeches. I have brought a few . I will have to continue buying them one by one until I have them all. From experience, I agree about giving freely with Gary, there has to be some exchange or else it’s a lost cause. Even those who benefit from receiving freely, their results in my opinion seem to be short lived compared to those who give so ething in exchange. 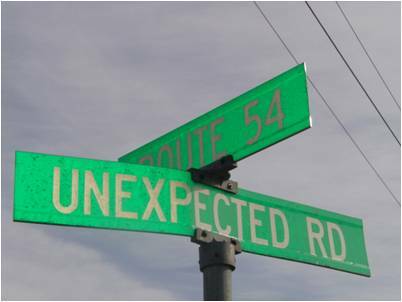 Its the “exchange” that really sets things in motion because only this way both sides are puttung in their “will” and intention. I also agree that the price asked is way too high now, I myself cant afford anything. We could however make our own library club with his stuff, I dont see harm in that. This “blog” is up, how about having a book club? We can be members and pay a yearly or monthly contribution to access. I don’t know how it woukd work, but I think it woukd be a good idea, no?! I’m sure Daskalos could respect this initiative. I think this is a good idea, I would love to participate in something like that. Hello Eric – I have heard this concern expressed several times so I’ll try to address, based on what I know first-hand. First, Cyprus isn’t exactly a hub of the publishing world w/r/t digital media or otherwise, and materials are quite expensive there. Those who have the Esoteric Teachings or Esoteric Practice will know what I mean w/r/t the high quality of the paper used by Imprinta (and keeping in mind Cyprus imports everything). Generally speaking, hard copies have to be ordered in bulk, and that’s a significant up-front cost which I suspect Panayiota is still trying to recover. I have not asked her directly, but I’ve heard her comment that Amazon requires a ridiculous minimum number of books on-hand to support their fulfillment requirements (which she’d have to ship to their centers) and this would be a significant financial burden to bear (or something to that effect). What I do know for certain is that she’s not running any sort of empire around this material, nor is she getting rich off book or audio sales. She doesn’t have a paid staff to my knowledge, nor is there any sort of business as we think of start-ups today. Second, Daskalos was financially self-sufficient when he was alive, and was able to live on a small pension. Many often lament how things used to be “free” when they fondly reminisce about him, even though they paid quite a bit in airfare and housing to fly over and visit for free healings and lessons. During that time, anyone was permitted to bring their own cassette tape recorders to capture the lectures/lessons for free, as well. Later, friends/family of Daskalos started producing audio recordings and books. Initially, the only cost was to cover materials, e.g. cassette tapes, cases, etc. To produce these at scale, equipment was purchased and the costs naturally rose, as did the cost to compensate those who contributed to the effort. Rinse, repeat during the advent of CDs. Keep in mind, Daskalos and Panayiota were never given a recording, book or publishing contract to produce material like many other prolific authors do today. They funded this all on their own/out of their own pockets. The reality is – things cost money to produce. Between the cost to produce, Euro FX rate fluctuations, the recent Cypriot debt crisis and shipping, prices do sometimes seem high but, again, it’s not because she’s out build a publishing empire. I believe Cyprus now imposes a weight or item value surcharge (forgot which, but you see it on the RT website) when shipping items above a certain threshold to the US, making matters worse. While technology in Cyprus isn’t exactly first world, I do know more and more material is being offered digitally at lower cost (good), but this introduces piracy risk and dilutes Panayiota’s ability to recover costs of goods she made many years ago. Who is the best authority on the teachings of Daskalos. If Yohannan said Kostas was Daskalos successor, where is Kostas? He used to say one lesson could take lifetimes to fully assimilate and activate. The Esoteric Teachings and Esoteric Practice are enough…esp if you sincerely introspect and practice for just 15 minutes a day. The seven promises and “five keys” are all one needs, but living them in this digital day and age is a challenge, even for the most committed researcher of truth. Nel, I think your idea is a great one. Unfortunately this blog cannot be the spot to host such a lending library since there would probably be copyright issues and such. Also, I’m not legally appointed to disseminate Daskalos’ teachings. I only put up this blog post to teach other readers that there are still Western esoteric teachers and wisdom keepers worth learning from given that teachers like Daskalos are practically unknown particularly in North America where you have garbage New Age teachers who unfortunately take up most of the space. If someone were to create a shared space for shared learning resources which would facilitate greater access to Daskalos’ teachings, I would have absolutely no problem highlighting it here and directing other sincere seekers to it. I know the Edgar Cayce folks have done it for years over in Virginia Beach at the Association for Research and Enlightenment, but they’ve been around for decades now and have chapters all over the world in in different cities as well. Prosveta Inc. who look after the teachings of Omraam Mikhael Aivanhov, have made sure that the public libraries (at least here in Quebec) carry almost all of his books. I was able to buy many of his books at second hand bookshops for practically nothing. The folks who look after Torkom Saraydarian’s teachings, mostly his daughter these days, also make much of his work available online and the books are not terribly expensive. I have not been able to access Martinus of Denmark’s teachings because much of it has yet to be translated into English and the books which have been, are currently prohibitively expensive when you take shipping and handling into account. Also the Canadian dollar is doing poorly against the Euro, which makes costs even higher. Teachings are everywhere, most of them are free. And I really believe you’ll receive what you need when you’re ready for it. I never had to pay for teachings when I spent time with First Nation’s Elders or for the sweat lodges I did. When I did pay, it was always on a donation basis for the time, travel costs and effort for the Elder. With these newer outfits, what you’re usually paying for are for overhead costs and keeping the operations going, like publishing, web hosting, marketing etc.. Daskalos was able to offer his teachings for free because he didn’t quit his day job as a civil servant. I do not however fall for this idea that the more expensive a teaching is, the better it is. If someone takes free teachings and aren’t applying what they’ve already been taught, then they’re clearly not ready for more. Yes, Daskalos said, ‘Please, the teachings are not for sale’, and that to photocopy and share things was fine, but no money must change hands. This is actually a spiritual law, and the fact that people break it all the time doesn’t change that. Daskalos himself never even accepted donations. He is still there in the other dimensions! He gives talks that you can attend. I agree about knowledge, however services are a different matter. I want more on this have there been any updates. Has anyone made any contact with either organization ? esummers91 – I would caution you against disseminating material that is not yours, esp without the owner’s (Panayiota’s) permission to do so. More importantly, she has been known to be very generous to those who can’t afford material and on many occasions she has given away material for free on her own dime (for example, shipping material to a few students who kindly requested they wanted to start a study group in Europe, but couldn’t afford to purchase the Symbol of Life – she sent 3 copies). All of Panayiotas work that I’ve own I’ve kept private and have refused to share . Daskalos expressed that he wanted his tapes shared freely that was his request . He said that you have received freely and you should give freely . I would only share Daskalos material and tapes which he wished to be shared . I Love and respect Panayiota and would never share her work without her permission. She took the time to record it and make it and she can request a million dollars for it if she wants . I witnessed 100’s of healings. now I am 46 and I have never come across another teacher or healer like daskalos. and when people would thank him ,he would always say ” don’t thank me I did nothing ,I am but an instrument for the holy spirit thank God . no payment for healing or lessons ..unlike today people charging . what comes from God is god’s ..how can you charge for healing when your but an instrument. .
in simple people who are lost but yet still humble. Muslim. .. the 10 commandments are the way to becoming a better version of yourself . all religions have them in their own way..starting back 1000’s of years from Egypt ..
we call ourselves spiritual, we seek teachers ,gurus ,and magical books..and most of us break one or more of those commandments on a regular basis…we lie, unfaithful,mistreat our parents , worship false idols/teachers. .. including myself…we have 10 rules to follow and we can’t even do that…be perfect as your father in heaven is Jesus said and daskalos would quote these words of Jesus many times..
and the most importand love one another as I have loved u.
may your path be one of ss love brothers and sisters. This is what I don’t get. Healers are expected to heal free of charge (and believe me, it takes psychic energy regardless of if you’re a tool or not) and yet nothing is said on how they are meant to live and pay the costs for healing others. There is something missing here, no? Gary , i see your point as well … but pls explain why do reiki sessions ..healing sessions or whatever one chooses to call it at times cost as much or more then visiting a doctor ??? why do some of these courses cost 100’s to do … and when one heals his but an instrument for etheric vitality to flow through to allow the healing to take place (if karma permits) ..however if the healer is not sincere and able to go to the root of the problem and help that person ( in many cases taking on part of the karma ) … it will only return again… so if i am charging someone to heal ….then do you see a divine deed were healing is being done for a price and not of love ..
if u want to ask for a donation to help cover some of the costs associated with a place were healing is to be done i would kind of understand..yet again personally i cant see healing being divine when a price is put on it.. and if one cant afford it then he cant have it ..?? healing has become a business … sorry to judge .. yet this is the sad fact of todays new age, spiritual movement.. its like a fashion statement.. were is the humbleness.. the give without asking..
how can we become good teachers or healers and be channels or instruments for higher causes when the only thing were focuses on is how much i will make from lessons, healing ..and so on .. I do agree that many things ARE overpriced. But many genuine things are underpriced, considering what you can get. You start to charge, and people start to take it more seriously. The more you charge, the more they seem to think it has value and they will ignore the reasonably priced options because, to their mind, there must be something wrong if it’s cheap. If people didn’t wish to pay such high prices, then they wouldn’t. Those who wish to just cover expenses and make a modest living are mostly overlooked because they are not flashy or self promoting enough. I will add to this that there are two other things to consider. If there is no call, then this person is asking to use your skills and abilities to help them. While we may be either source for healing or have healing channelled through us, the skills in using it are generally honed over years of experience and practice. And that is what you’re asking for. I know this from personal experience. I am an Empath who specializes in Bach Flower Remedies and can heal quite potently. It also took years to experience and study to reach the point where it’s all innate. So I feel it’s not unreasonable to charge a reasonable fee for those skills. This is a full time job and if you’re working your day job to support your healing one, then you will burn out. It’s simply not possible to maintain it. Also, note, that people think nothing of spending many thousands of dollars on frivolous entertainments and personal indulgences. They throw money at the latest mobile phones, gaming consoles, sports, partying, drinking, and so on. Yet seem to balk when it comes to paying for their own healing and spiritual growth. This world as it all topsy turvy. Gary Leigh, why do you want soneone you have healed to say thank you to you? Or to give you feedback? Will a thank you give you satisfaction? Why do you want others to take you seriously? Is it so important? I dont see healing as a job as i said before. +heyho Oh, I don’t know. You spent 50-100 dollars on the tools they need, plus give them free healing, I think a thank you is not too big an ask. Over 100s of people, that cost adds up. Still, I guess that’s not a big deal to most. Seems really odd that people seem to think that by thanking someone, this makes the person they are thanking egotistical and not genuine. As for feed back, it helps to know how effective your healing is, and what you can do to improve things. I assume you’ve done all this yourself? I totally agree with you no one. I wouldn’t trust and I wouldn’t go to someone who claims the he/she’s a healer if they would charge. And thats because i wouldnt know whether the intention is to heal out of love or because of money. Did Jesus charged whenever he healed people? Of course not, he did it because of love. If the healers want money to survive then they can always find a job like the rest of the people. Healing must not be seen as a job where you get paid. I see it as an offer to humanity, you were blessed to help other people. 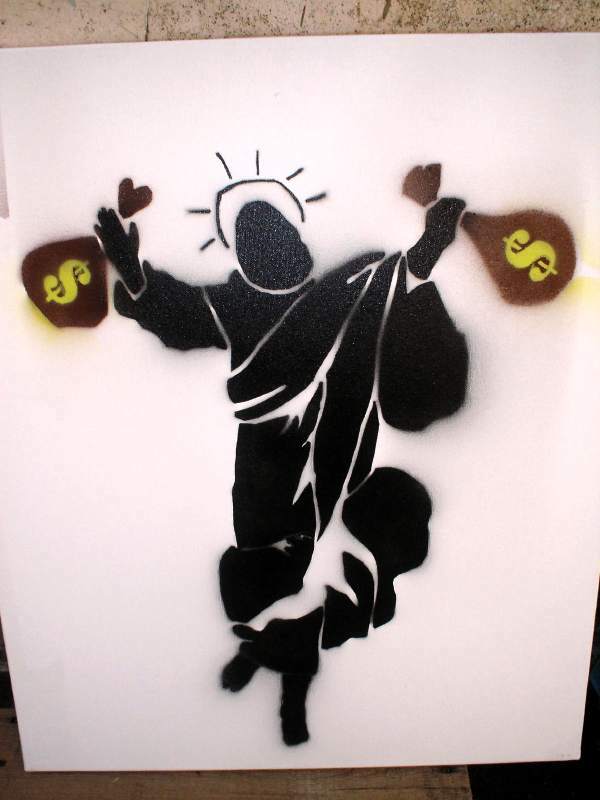 If someone who receives healing wants to donate with sonething thats fine, but demanding money for healing its blasphemy and egoistical, in my opinion. +heyho This appears to be an ‘I’m entitled to free stuff’ type mentality. You saying that healers should go get a job to support helping others seems a little presumptuous that they exist only to heal the likes of those who think it should all be handed to them. How about the world decides to support those who can heal, so they don’t have to worry about where their next meal is coming from and if they will have a roof over their head instead of thinking it’s just fine for them to work their butts off so they can spent money on entertainment and booze, etc. I’ve lived and experienced both sides of the argument here so I can see where both Gary and no one is coming from. Indeed, giving healing services for free to those people who don’t even really seem to care can lead to severe personal burn-out. When I was a hospital chaplain, I did Reiki specifically in the cancer wards which indeed was very life-giving and personally satisfying. It was a salaried position so I didn’t have to worry about donations or tips, it was my duty to visit as many patients as possible on the wards I was assigned to and while many patients were very grateful and responsive, a lot of patients weren’t and practically everyone in chaplaincy burns out within 2 years since you’re dealing literally with life and death everyday. That was one of the reasons I left, I didn’t have anything left in me and it took a long, long time to regroup. When I spent time with Native American teachers and healers, doing sweat lodges and the like, understanding ceremony, they see that teachings themselves should be free and money and teachings should never cross but services were on a donation basis. Many of the Elders were retired or had other day jobs, usually on a contract or free-lance basis so they could be free to pursue their spiritual interests. To become a full-time healer is dicey and as no one rightly pointed out, too many of them are using it build up personal empires like many in the New Age/Self-Help community, this is really an unfortunate by- product of laissez-faire Capitalism, probably the most synthetic, man-made, damaging, soul-destroying form of economics if there ever was one. I think one of the most important aspects of capitalism we fail to see is that it really is isolationist in nature. It doesn’t foster a sense of community which Buddhists and their “sangha” are about community or even Daskalos and the circles. I think if legit healers were supported by a community, it would be a different story completely.Also to become an Elder is not something anyone can get up and proclaim themselves to be. The community saw your gifts and recognized them and then called you an Elder. + Earth Energy Reader Well said. I’ve been doing this for over 30 years and the burn out you suffer is horrific. It’s even worse when you can’t quit because you have a calling to help heal this world and the energies within. Personally, if I could do it for free, I would (and still mostly do) but health wise, it is slowly burning me out and the requests for help never stop. I really don’t think this world wants healing. They don’t act in a way that demonstrates it. Gary, in most of your replies i see anger , a feeling of not being appreciated for healing you offered in the past , and you mention burnt out alot of the time..
you also mention people have money to buy fancy phones and other things… why shouldnt they pay for healing .. ?? the sun.. the air .. the sea… should they also pay for them to appreciate them. .. just because we live in times where people have forgotten their ways ..doesnt mean we adopt to the wrong way and start charging for something that is not ours ..
our world is in a mess.. people are more lost then in anyother time in our history , we have more books, more access to information on spirituality ,healing ..and yet we have more wars ,more famines, and more problems then ever !!! because people just want !! want and want !! divine mercy from karma… this is not something we can charge for ..
you .. we all suffer ..were all one .. by helping another your helping yourself ..
these are just my opinons and once again sorry if i offended anyone. No, not so much anger but frustration. I’ve got nothing left to give. I’m depleted and exhausted and I can no longer do what I love. Everything takes enormous effort. I think I’ve done more than my fair share, so when people suggest that it all should be free, I say to them, try it and see how far you get. Try it and see how satisfying it all it. Yes, I’ve done more than you can ever imagine and I will continue to do so, cause that’s who I am. Just don’t expect me to like people taking it for granted. And to those who feel that they should not have to pay for healing, then I tell them, fine. Go out an find someone who will heal you for free. Good luck finding someone who is genuine. Gary ..dont get me wrong with what i am about to say ! i am sure you have given and healed many people ! and you will heal many more !!! but it saddens me to see in you what i see in many of todays “GREAT GURUS’S..TEACHERS… and best selling authors on sprituality… i see ego ..
you say u can no longer do what you truely love .. gods love and healing is an endless river ..if you wish to be the vessel for it to flow endlessly out of ..then you need to do it unconditional or it will burn you up..because etheric vitality needs pure intentions and love ..
you say dont expect me to like people taking it for granted… so what if they take it for granted ..ego is talking love isnt .. SERIOUSLY …THESE ARE THE WORDS OF TODAYS SO CALLED HEALERS .. are you genuine?? have you ever thought your healing from your well of energy and draining your self.. and slowly burning out yourself… most healers heal this way ! and burn themselves out and it takes years to refill…and most of the healings they do will be short lived..
Why dont you become a pure vessel of healing and let it flow through you into those who need it ..
bother him because he is divine love..
and JESUS did say be perfect as your father in heaven is perfect !.. We all have a long and hard road in this life.. we need to become the change we want to see in others and in the world.. and healers are givers of light and love..
global boom .. seriously …its out of control… and like daskalos told us once .. it only takes a drop of water to tilt the scale.. dont be that drop ..
It’s just not just healing I do. It’s a small part of things. And honestly, if I was about ego, I could go on and on about all I’ve done throughout this and many lifetimes. I don’t care enough to do so, though. I’m just trying to make a point that people need to stop taking healers for granted. Gary Leigh, I’m not a healer and certainly i am not a perfect human being, I have ego like most people, and I understand your frustration when you say that people do not appreciate your help and dont even say a thank you. But all these expectations come from our egos, we shouldnt be bothered by such unimportant details, they are not part of our true essence. Well anyway, easily said but in practice it’s harder. no one, very well said. Are you in Cyprus? It would be nice if you could share some stories/experiences you’ve had with daskalos! YOU don’t heal: the energy isn’t yours, it flows through you, from spirit. So there’s no burnout, exhaustion or depletion: whatever we give freely, like etheric energy, is immediately replenished. Read Daskalos on the properties of the etheric, and on healing. I have never burnt out from healing, nor did Daskalos. I want to point out that Daskalos worked for a living, at a job he didn’t like much, and was doing spiritual work long before he retired on a pension. I do cleaning work to pay the rent. We never have to take money for spiritual work, and if you do (or if you benefit in any other way), then the higher beings will immediately withdraw from you. I’m not telling anyone ‘Don’t charge’; people have free will. But you pay a price if you do, because you’re breaking an important spiritual law. +teleile There are levels of healing in my experience. If you get a call to heal someone, you heal them and don’t charge. However, I don’t think people have to right to demand healing, readings, psychic services, etc just because you can do so. I also don’t believe that if you want to be a healer, you should be the one to work a day job 12 hours a day just so you can do it. Point is, when there is a flow, there is no drain. When there is demand and people keep on taking from your well, you will end up exhausted. So people can insist that you owe them powerful healing and I can insist that I have no soul contract to do so and to find someone else, especially if I’m working a full time job. In the end, they need me. I don’t need them. Sounds egotistical but it’s just a fact. Gary … did you really write down _ In the end, they need me. I don’t need them. Sounds egotistical but it’s just a fact….. If you really think thats the case then you need to do a lot of ego shedding..
what ever name they choose to give it and hung a certificate on their walls..and make business cards with there title as master… grandmaster..
By the way, I never said anyone had to work 12 hour days! Why on earth would people want to do that? I don’t have extravagant tastes, and live fine working just 24 hours a week. Nor does ‘people demanding, insisting’ come into it. If someone asked me to do healing on them, I’d agree gladly. If they ‘demanded’, I’d give them a look and decline. With that attitude, they wouldn’t have learned their karmic lessons, so any respite would likely not last, anyway. I heard that someone of Daskalos’s students is still healing on Cyprus. Does anyone knows anything about him? I’m planning to travel there soon and I would like to meet him and ask for a help. Kikis Christofides, Chairman of Association of Refugees from Famagusta resident in Limassol , worthy successor to Daskalos. Thank you so much for telling me. I am sure Kikis is continuing his work in another dimension.